Meet Chahin and Artur, the Co-Founders of SmartStudents, LLC. Artur Zvinchuk and Chahin Aghrim are international students from Germany attending Goldey-Beacom College. Best friends, former roommates, teammates and believers in using technology to help others achieve their full potential. Artur and Chahin co-founded of SmartStudents, a mobile marketplace that enables students to exchange college specific items on their campus. The app is active at 7 schools in the greater Philadelphia area including Upenn and Drexel. SmartStudents has helped its users to save on average $350 on textbooks per year. Startup Grind Wilmington hosts monthly startup events to teach, inspire, and connect entrepreneurs. Meet new hires and investors in Wilmington or our 500 other startup communities around the world. Startup Grind is more than a speaking event, it's a chance to connect with like-minded entrepreneurs, innovators and creators. After the speaking portion, the stage will be open to the audience to ask for services, help with project, referrals, etc. Think of this as a town square meeting, open to everyone. Startup Grind Wilmington is hosting its third event April 1 at Goldey-Beacom College, located 20 mins outside of the City of Wilmington, DE. 4701 Limestone Road, Joseph West Jones Center, Rollins Atrium. 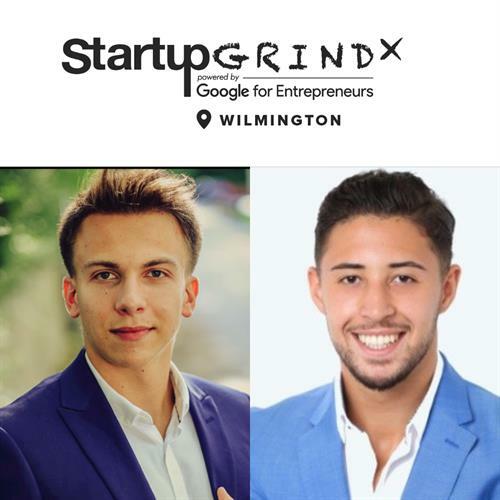 Startup Grind Wilmington is presented by the Goldey-Beacom Entrepreneurship Club and the Goldey-Beacom DBA Program.